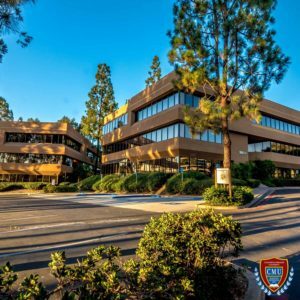 Internexus Mission Valley (Auxiliary Location) on CMU’s Miramar Campus location has Free Parking and 15 minutes on foot from the Mission San Diego Trolley Station. *note: This is an auxiliary location which mean no administration services are done at this location. Administration for Internexus San Diego is only done at the Main Location in Hillcrest. We are located twenty minutes from San Diego’s world-famous venues including historic downtown Gaslamp District, world-renowned San Diego Zoo, the beaches of La Jolla Shores, and the San Diego Convention Center. Furthermore, CMU is surrounded by some of the country’s leading biotech, pharmaceutical, and telecommunication companies. *Internexus Mission Valley only uses the 2 classrooms located in suite 106 for our approved ESL classes Monday trough Friday 9am to 1pm.